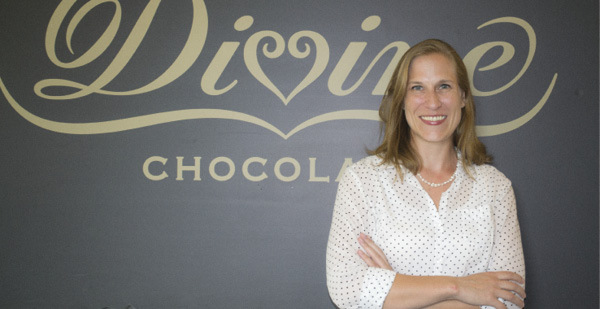 Tamsen Fricke has served as operations manager at Divine Chocolate USA in Washington, D.C., since 2013. Responsibilities: Imports, inventory management, national distribution, 3PL management, quality control, customer service, operations strategy, and regulatory compliance. Experience: Account executive, Latinflor/Flortec; account executive, Panatlantic Logistics S.A.; senior inside sales coordinator, U.S. government client liaison, government service program manager, Panalpina. Education: BA, international studies, Middlebury College, 2002; MBA, logistics, materials and supply chain management, University of Maryland, 2012. While earning my Bachelor's degree in international studies, I worked for a fair trade micro-enterprise chocolate company in Ecuador. That experience taught me the supply chain in developing nations has everything to do with economic development. Given the right supply chain operation, producers can take control over their own economic well-being. I later worked for a freight forwarder in Ecuador, then spent five years with Panalpina in the United States. I returned to the chocolate industry in 2013, when I joined Divine Chocolate USA. As a fair trade manufacturer, Divine Chocolate sources all its cocoa beans from Kuapa Kokoo, a cooperative of farmers in Ghana that is also the company's largest shareholder. Our other ingredients are also fair trade and non-GMO whenever possible.